Calvin did not accept the Marian doctrines. Without wanting to sound too rancorous, I have to say that anti-Protestant polemics can be the worst. I’m sorry. I know that’s a very one-sided thing to say, but I encounter anti-Protestant polemics more than anti-Catholic polemics, because I’m not Roman Catholic. 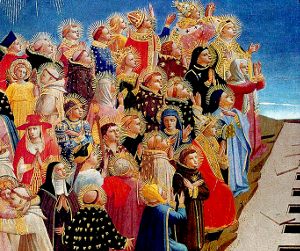 Sometimes the phenomenon goes by the name “Catholic apologetics,” as though it’s really a pro-Catholic thing, but that’s not how some of these warriors-for-Rome present themselves. They’re about claiming scalps in arguments. 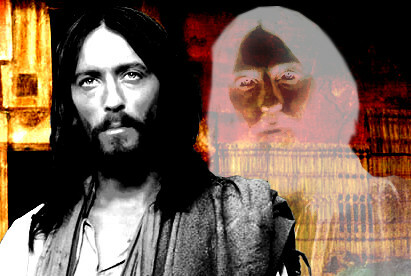 I love some Catholic theologians and philosophers – and Catholic people in general. So I’m not going to refer to these people as just “Catholic scholars.” It would be unfair to Catholic scholars in general to lump them all together, which is why I keep open a category for anti-Protestant polemics, separate from Catholic scholarship. It’s a let-down for me, because some of the finest work in philosophical theology today has been produced by Roman Catholic Scholars (think Brian Leftow, Brian Davies, Edward Feser – EDIT: My mistake, Brian Leftow is not Catholic. He’s Anglican. But he sure writes like the best Catholic philosophers), so to turn from such fine minds and work to online blunt-axe-swinging warriors is a bit like swallowing the cheapest bourbon and cola money can buy after sampling a fine port. That somewhat frustrated preamble aside, here’s what moved me to write this post. 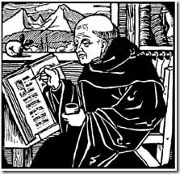 The other day I saw yet another anti-Protestant polemicist make the familiar claim: “Most Protestants would be surprised to learn that all the early Reformers accepted the Marian doctrines.” That’s not a direct quote, but it’s close (the part about all the early Reformers was central to the claim), and I’ve seen the claim made numerous times. 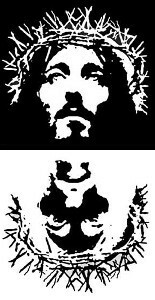 Note: When this article was first written it made reference to Christianity Today. This was an error. In fact the website in question is Christian Today. My apologies for the initial error. Clickbait. Clickbait is everywhere. What happened next will blow your mind. You won’t believe what this guy said. Personal trainers hate this guy for telling everyone this one weird trick to lose weight. OMG, #5 on this list gave me chills! Sometimes clickbait is blatant, as in examples like those. Other times it’s in the wording, where you can argue that there’s a sense in which the headline is true, but the writer knows quite well that people will understand it to mean something that is blatantly false yet titillating. I expect clickbait from some places, as well as headlines and even stories that spin things so extremely that they basically amount to what is being dubbed fake news. Yes, Huffington Post, I mean you. That looks pretty clear, right? 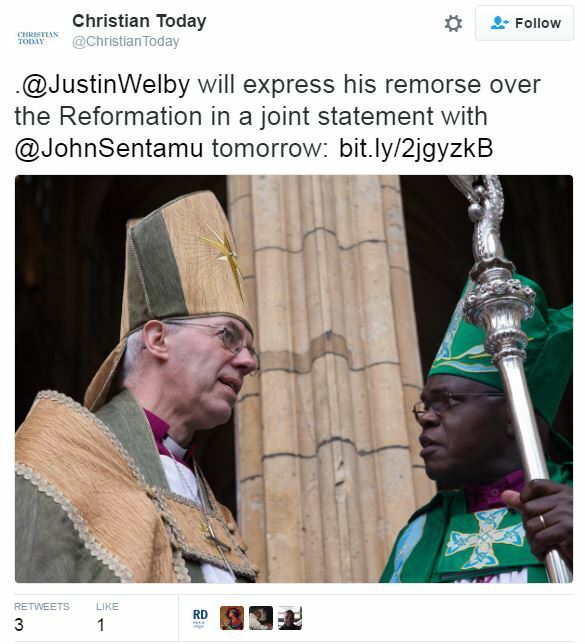 Justin Welby, the Archbishop of Canterbury, is going to express remorse over The Reformation. I don’t think there’s any honest doubt about what those words will be taken to mean by most readers: The Archbishop of Canterbury, to a considerable extent at least, regrets that the Reformation happened. Typical. What a wishy-washy, Ecumenical liberal who doesn’t think theological distinctives matter. He’s basically a Catholic! Anglicans, huh? What else would you expect? Oh. So… he doesn’t regret the Reformation. He regrets that it was accompanied by violence. Well. How about that? Actually, CT used as its source a story from the Daily Mail (yes, really), which is entirely about violence and people being burned to death etc, something Welby regrets. Decide for yourself whether or not this constitutes clickbait. The answer will shock you! It’s that time of year. Christmas is just days away, and I’m pleasantly surprised our media in New Zealand hasn’t trotted out the same “scholars” as last time to break the scandalous story that… I don’t know, Jesus never really existed (yawn), Nazareth didn’t exist (uh huh), Israel never existed, Jesus was a gay feminist or something equally likely. 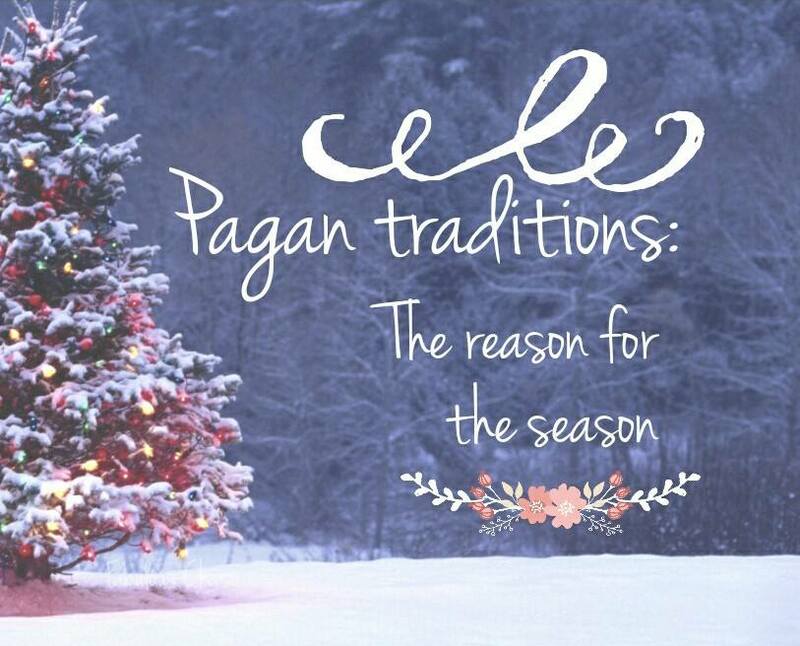 That’s the caption that was attached to this “pagan traditions” picture. If you do start hearing this sort of things from those heathen carollers of the internet, this year give the gift of knowledge. What’s really wrong with Apollinarianism? What is Apollinarianism, and what’s really wrong with it? 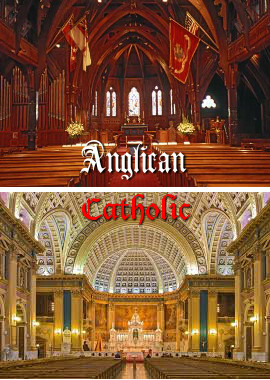 How are Anglicans Different from Catholics? No, Anglicans are not basically Catholics. So what’s the difference? Please stop saying that Protestants engaged in a novelty by tossing out seven books of the Bible that until then Christians had always treated as part of it. That is neither true nor fair. Reformers may, in addition to being reformers, also be innovators. However, the essence of Reform is not innovation. I say this thinking especially of the 14th-16th century movements in European Christianity (which were the fruit of centuries of momentum building within the Church). Reform is a call to put things right, not to start something new. There have been many reformers whose call to reform was accepted by the Catholic Church, and there have been reformers whose call to reform was not accepted. But Christian reformers, those who are now called The Reformers, were thoroughly conscious of their actions as part of an organic unity with the church catholic, and a desire to reform it. Those Christian movements that have arisen professedly wanting to do a new thing, whatever their virtues may be, cannot be considered heirs of the Reformation. 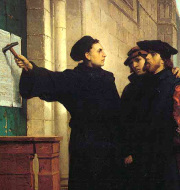 It was precisely because of the concern that the Church was doing far too many new things that Reform was called for.